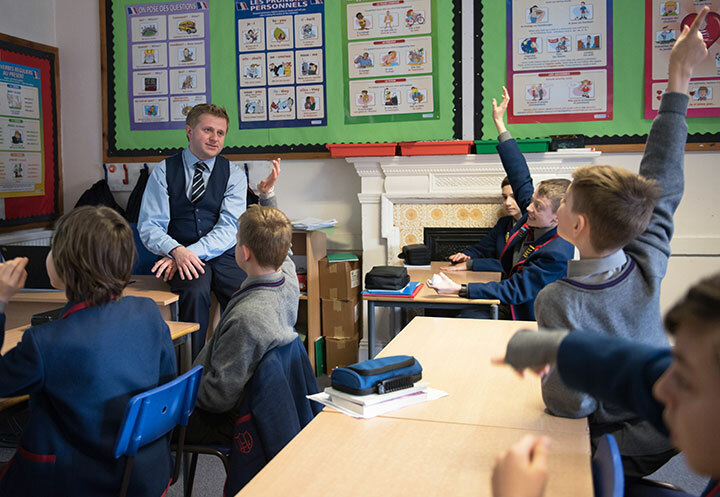 At Lyndhurst House, we firmly believe that recognising and rewarding good behaviour is more effective than sanctions against poor behaviour, and therefore take every opportunity to praise pupils when it is appropriate. The School’s full policy on Behaviour and Discipline can be found here. Rewards recognise and encourage positive behaviour and attainment. Boys may be awarded House Points, Commendations or Recommended Works in recognition of work that is completed to a high standard, or of behaviour that is noteworthy. In Years 5 & 6, boys can be awarded badges for industry, individual sports, citizenship and the creative arts. In the top two years, ties can be awarded for industry, sport, citizenship, the creative arts and responsibility. Each year a number of prefects are appointed from the Year 8 cohort, and they are given certain responsibilities. The behaviour of all boys is monitored carefully by the form teacher, Head of Section, and the Headmaster. Parents will always be informed of any serious sanctions, including detentions.